This is a short cut route. The view of Matheran (माथेरान), Peb (पेब ) fort, Nakhind (नाखिंड), Chanderi (चंदेरी), Neral (नेरळ) and Panvel (पनवेल) region as seen from the top of Mountain X. The fine day of 11th October, 2013. 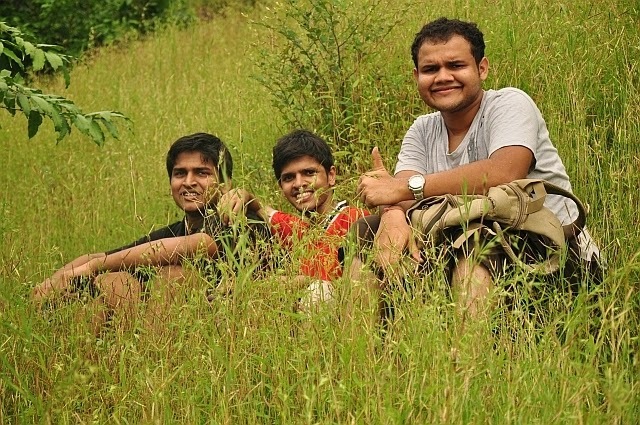 Plans were being executed as scheduled (thanks to Anurag). We were clueless that the destiny had so much laid down before us that day. 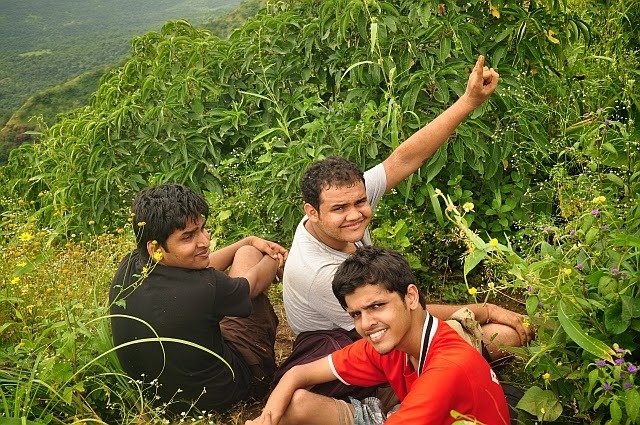 It made us lose our way in the forest, forced us to climb the dried-up waterfall route, compelled us to climb a 100ft. 75-80 degrees of rocky patch- and for what? to find ourselves onto a completely different top, which we named "Mountain-X". It was 2.30 PM, and we were at the top of 'X'. The route to Peb was now crystal clear before us. But the time constrained us to follow the return path. Ask a villager at Fanaswadi about the directions. A bit complex route. More chances of getting lost if visiting for first time. Villagers might help out here. Make the decision of taking a guide here itself. Because, if you are lost out there, theres nobody to help you out. Clear route. Risky at some places, but manageable. It follows via thick forest and 'X'. Only concern is forest. Stick to the route and it'll take you to the top. After reaching 'X' descend into the gully between Peb and 'X'. Follow the visible route to Peb. The diversion to the right, big enough to spot, leads towards Panvel. Overall longest route and lesser chance of getting lost. Will write about it once we try it out. Though we lost our way, we successfully climbed the rock patch. 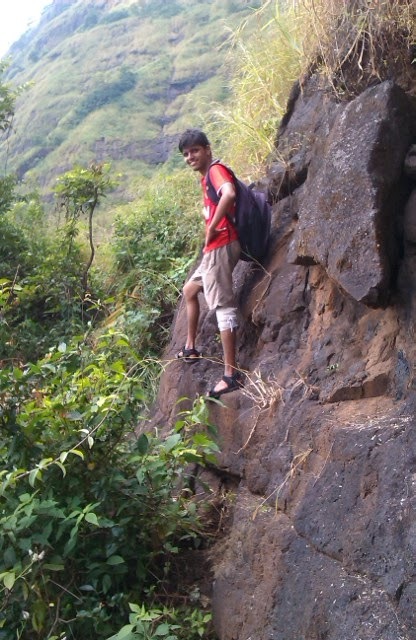 Not only that, but made Saurabh climb the route too. It was tough, but "we finally did it'.